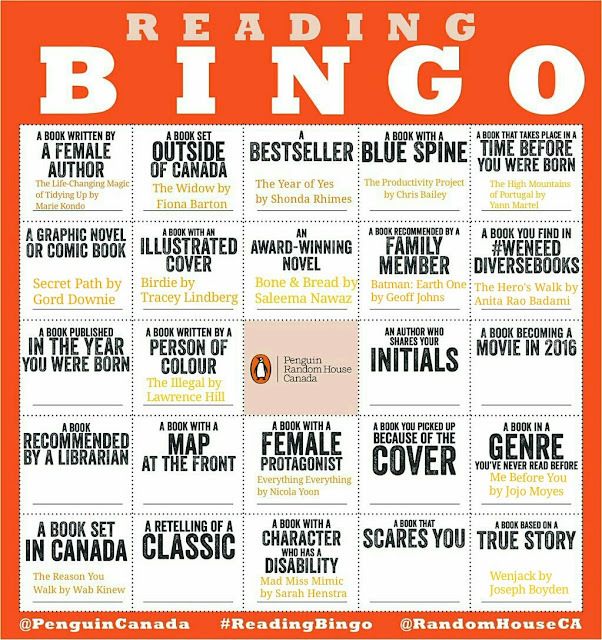 At the beginning of the year, I decided to participate in Penguin Random House Canada's Reading Bingo challenge. I have to admit, I haven't read as many books this year as I would have liked. But, with the books I have read, I've managed to get through a diverse set of genres and authors. So far, I've managed to cross of 17 squares, which is already an improvement over last year's 16. Links to my reviews of the books listed are below. 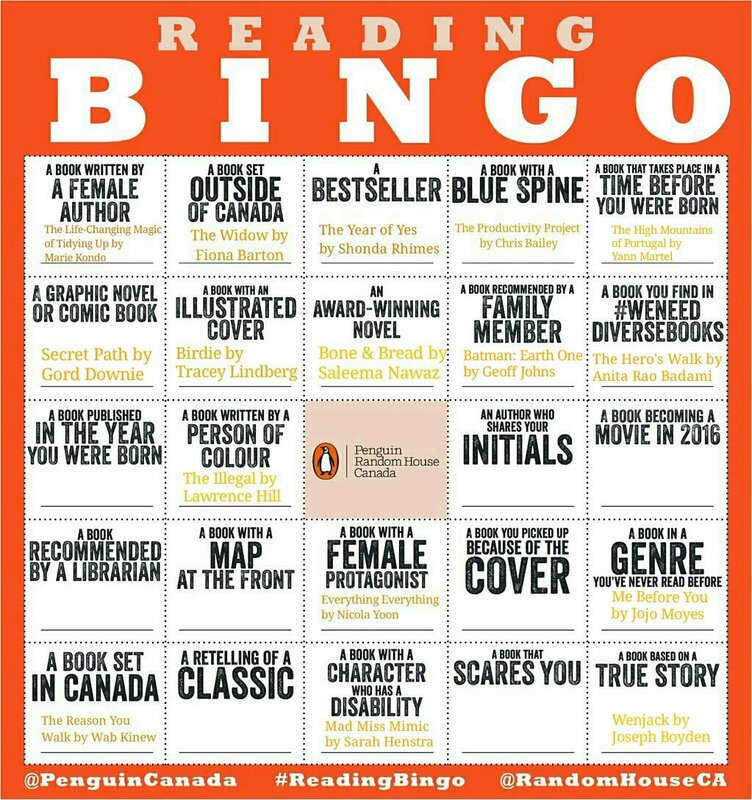 If you're participating in this or any other Reading Bingo challenge, feel free to leave the link to your post and I'll be happy to check it out!